Michigan weather brings a completely unique set of problems to gutters and gutter installations. Anyone can get a license and start installing gutters, but it takes a specialist to do it right. The experts at Martino Home Improvements have been helping Michigan home owners protect their largest investments with durable, professional installation of all-weather gutter systems. Poorly installed gutters can cause water to overflow or leak through. This causes water to run over the rim or leak resulting in damage to the homes fascia. 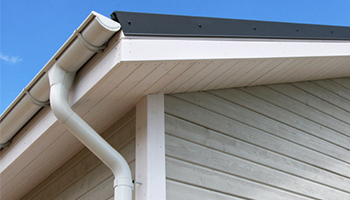 Lesser gutter systems can warp over time due to the constant heating and cooling caused by Michigan weather. Even a fraction of an inch warp can cause leaking.